Another week, and yet another big name has announced its plans to expand opera­tions to Malta. Neufund, an equity fundraising platform, announced their move last week; OKEx, a leading digital asset exchange, confirmed that they will have an operational base on the island, joining Binance, the world’s biggest cryptocurrency exchange. Others are sure to follow – Justin Sun, founder and CEO of TRON, the decentralised entertainment platform, recently said his company was “seriously considering” a move to Malta. But what exactly does this mean for Malta? How will it benefit the existing economy, ecosystem and businesses that already call this small archipelago home? For the uninitiated, block­chain is a technology that creates an immutable, digital record of economic transactions. However, the technology is not limited to the financial world, and can be instructed to catalogue virtually anything and everything of value. Malta wants to be the first jurisdiction in the world to create a regulatory framework for this type of technology. As yet, most other countries are focusing on the first iteration of blockchain, i.e. cryptocurrencies, while Malta is one step ahead – addressing the ability to re-conceive how businesses operate, through smart contracts, the use and development of sophisticated platforms and protocols, and the new, broader dimension of economic enterprises that support cryptographic technologies. The real significance of the companies that are moving to Malta is their commitment to help the country achieve its goal of becoming an economic superpower in the emerging crypto-economy. Malta has already reaped the benefits of the efforts to position the country as a digital leader in Europe. In 2017, the island once again registered the highest economic growth out of all countries in the European Union, with a real GDP growth of 6.6 per cent – over double the average growth of 2.4 per cent recorded in the rest of the EU28. If the government is looking to sustain this incredible growth, attracting international blockchain businesses is a smart move. As an EU member, Malta has to comply with the legislative demands of European governing bodies. The regulation of virtual currencies, especially the activities of exchanges in funding ICOs, becomes paramount for the technology to be broadly adopted. Malta equips block­chain companies with a repu­table and supportive juris­diction, while providing a trust­worthy and safe haven for digital entrepreneurs. As a digital entrepreneur myself, I established Mediarex Sports & Entertainment in Malta some 12 years ago. With its roots in i-gaming, specifically poker, the company has been able to thrive in Malta’s open, business-centric ecosystem. Now, as we prepare to launch chiliZ, a new blockchain and e-sports venture, we have confidence that Malta’s regulatory and legal framework provides trust, credibility, stability and, above all, a level playing field for our investors in our forthcoming token sale. And Malta’s emerging legal framework that will eventually govern DLT (Disruptive Ledger Technology) and blockchain, will create an ecosystem that will not only lead to massive growth, but will have further macroeconomic benefits. In just 10 years, blockchain is predicted to contribute to a staggering 10 per cent of Malta’s GDP. But what else will blockchain contribute? Domestic job crea­tion is a certainty. 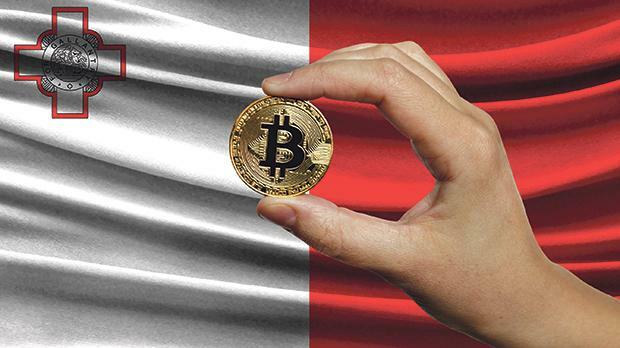 In March, Binance CEO Changpeng Zhao stated in a blog post that the exchange is aggressively ex­panding and aims to increase its workforce by 2,000 this year alone – there is no doubt that many of those jobs will be Malta-based. The knock-on effect will be evident in other economic areas. With a greater pool of big-name companies, Malta will inevitably attract more young foreign professionals who bring with them new digital skill sets. And let’s not forget the other industries that will inevitably work alongside blockchain – legal, financial, marketing, i-gaming – all will eventually need to be able to operate with blockchain and virtual currencies. Of course, the broader economic advantage is tax revenue. The time taken for ICO-funded businesses to start turning a profit is much shorter than typi­cal business ventures, which means that the government will start to collect tax re­venue much sooner. Ar­guably the fastest-growing tech unicorn in history, Binance reportedly saw its profits rise by nearly 2,800 per cent from its first to second quarter in opera­tion, from $7.5 to $200 million. Seeing the potential in an emerging industry, and providing the necessary legal and regu­latory support, is a well-trodden path in Malta, and comparisons can be drawn with the growth of the i-gaming industry after the country introduced the European gaming licence in 2004. At the time, sceptics were suspicious and highly critical of the gambling industry – some still are. But with time, compliance to legal standards and adequate regulation, i-gaming has become an integral part of the Maltese economy. There is now a wealth of local knowledge, which means that the foundations have been laid for an administrative, legal and regulatory framework to support the development of the blockchain industry and all its stakeholders. The i-gaming success story has no doubt contributed to Malta’s position as the go-to country for growth-minded entrepreneurs and multinational companies. However, some would argue that in recent years, Malta has become too dependent on i-gaming. After all, it accounts for over 11 per cent of the island’s GDP and employs more than 9,000 multinational professionals directly and a further 3,000 to 4,000 indirectly through other services. The government has a strong commitment to the 270+ operators that call Malta home, and has continued to be proactive in developing its regu­latory framework to sustain the island’s competitive edge. Will blockchain ever overtake i-gaming in Malta? Many have questioned whether the big operators will remain on the island once the forthcoming changes to Sweden’s online gambling legislation are finalised in 2019. Aftonbladet, Sweden’s even­ing tabloid, claims that the aim of the licensing overhaul is to “entice companies to come home from places like Malta”. Whether or not the operators will start an exodus, there is no doubt that the two sectors will have to work in harmony in the meantime, even if they start to compete for talent. It is ex­pected that the introduction of new frameworks will influence the existing regulations around i-gaming, and blockchain technology can, of course, provide faster, cheaper and more efficient alternatives to traditional payment methods. The combination of these two industries will be of huge benefit for Malta, economically, socially and commercially, and with the country taking huge leaps into the ICO, blockchain and cryptocurrency industries, Malta cannot only seek to revolutionise the way blockchain is perceived, opera­ted and governed, but can solidify its reputation as a world leader in innovation in the process. In my opinion, having a sound regulatory framework is a good thing because it provides stability, and in welcoming these types of companies to our shores, Malta is creating a cluster of like-minded individuals and organisations that will allow this exciting industry to flourish. Alexandre Dreyfus is CEO of Media­rex Sports & Entertainment.